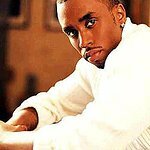 Sean Combs has announced that he will host his famous White Party in Los Angeles on July 4th this year with the theme of “We are Family” to benefit Malaria No More. Complete with white carpet entrance and all of the VIP treatment for which he has become famous, celebrities, friends, and dignitaries alike will join Combs to celebrate – White Party style – in a private home located in one of the most exclusive neighborhoods of Los Angeles, CA. In addition to being one of the most anticipated events of the year, this White Party will also serve as a platform to raise awareness for a very important organization, Malaria No More. To promote the cause and bring needed attention and aid to those living in areas where malaria is prevalent, Combs is teaming up with longtime friend and fellow entrepreneur, Ashton Kutcher, who will co-host the party. In conjunction with the White Party, Combs’ Sean John fashion label will produce and sell a limited edition t-shirt that will retail for $40 on-line at www.seanjohn.com with the slogan “Celebrate Life End Malaria” with a portion of the proceeds going to the non-profit organization. Partygoers will learn how they to make additional contributions, purchase t-shirts, and sign up for volunteering during the event. Sean “Diddy” Combs said, "This year’s White Party is going to be historical. We are pulling out all of the stops to create a celebration that will be like none other before, and I thought it was time to share the sexiness and glamour of the White Party with all of my friends and family in LA. I chose July 4th because I am feeling very patriotic these days and who doesn’t love a barbeque on our nation’s birthday. “I am also proud to be partnering with a cause that my boy Ashton has been involved with for some time now: Malaria No More. They have been doing some amazing things to help families in Africa protect themselves from this preventable and treatable disease,” Combs added.